A limited beta of Wasteland 2 is now available to those who backed the project on Kickstarter. The beta is available only to those who pledged US $55 or more to inXile and Brian Fargo’s post-apocalyptic RPG reboot. Those who are eligible can obtain a Steam key by logging into the Ranger Center. inXile has also announced that the game will come to Steam Early Access at a later date. In April 2012, Wasteland 2 raised US$2.93m on the crowdfunding site – more than three times its US$900,000 goal. 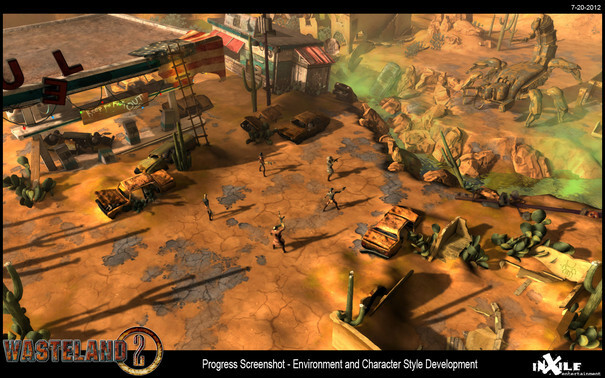 Wasteland 2 is a direct sequel to the original, which was itself the inspiration for Interplay’s Fallout RPGs – Fargo was the producer on the first Fallout.